For almost twenty-five years, the Village Alliance has been a leading advocate for the Greenwich Village community. As a Business Improvement District (BID), it works to promote the growth and success of the residents, businesses, cultural and academic institutions within the 44 block area in which it covers, spanning 4th Street to 13th Street and Sixth Avenue to Second Avenue. The Village Alliance's district has beared witness to countless important cultural and social events, people, and places that have changed New York and American history including Jimi Hendrix's Electric Lady Sound Studios and the original Whitney Museum founded by Gertrude Vanderbilt Whitney on 8th Street. You can read more about the history of the area here, dating back to the 1600s. The Alliance's programming is geared towards the improvement of the neighborhood's quality-of-life, ranging from those that promote and educate the public on safety and sanitation services, façade improvement and street enhancements to economic development and community revitalization, marketing, free public events and walking tours. 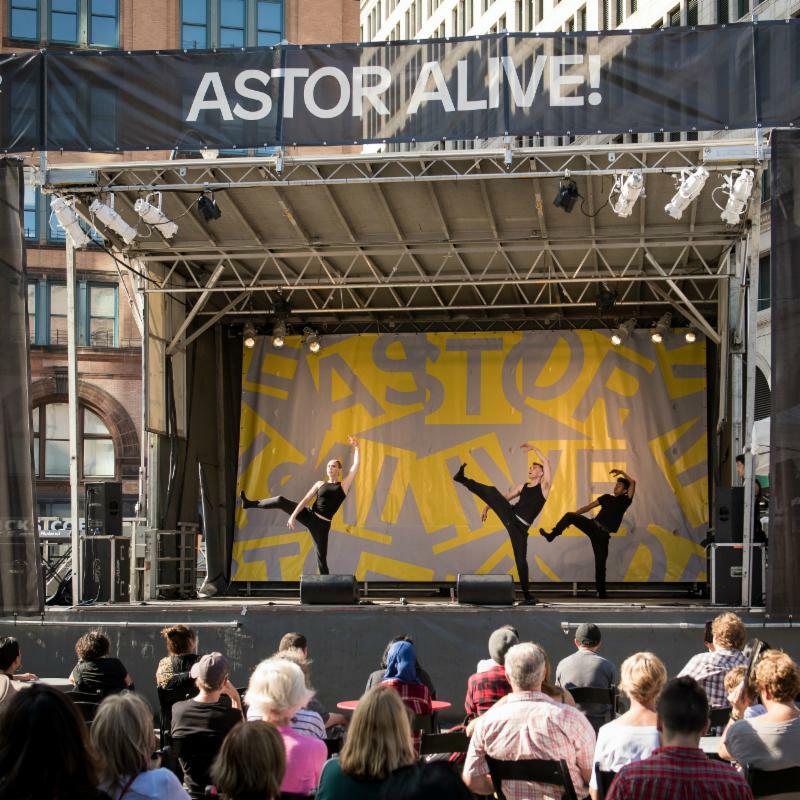 The Village Alliance's flagship event, Astor Alive!, is coming up this Saturday, September 23rd. This all-day outdoor performing arts festival will feature dance, music, poetry, and cabaret performances and workshops to help celebrate the 50th anniversary of Tony Rosenthal's Alamo sculpture in Astor Place. For more information on the festival's programming, please visit their website or Facebook page. The Village Alliance has been among the organizations in our roster with which we have organized public programs. For more information on our past and upcoming programs, please visit our website.